Melbourne’s design house Chateau Couture has a clear vision – to recreate the timeless classical beauty of European interiors and architecture by integrating all the elements of revered classical European style. Showcasing its services and providing realistic settings is a crucial part of Chateau Couture’s marketing methods – and its elegant showroom plays a key role. One of Chateau Couture’s services is creating grand carved stone mantles and overmantles, and the design team sought to more realistically showcase them by establishing functional fireplaces in the showroom. Designer Sandra Traviati chose EcoSmart Fire BK5 Burners. 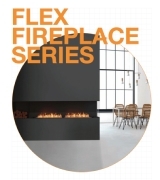 Sandra has used three EcoSmart Fire Burners; one has been incorporated into one of the fireplaces, and two have been used to create a longer flame for another. 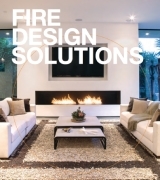 “By using the burners within custom-made grates, we were able to achieve the ambience of true fireplaces. By using two burners side by side for one of the fireplaces, it enabled us to achieve a beautifully long flame. The addition of a classical style grate and artificial logs gave us the sophisticated classical look,” Sandra says. The EcoSmart Fires have also allowed Chateau Couture’s designers to specify mantles in a variety of rooms and any areas that require a focal point to the room. 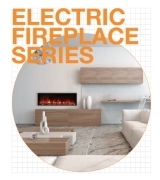 “The ability to retrofit the EcoSmart Fires into any setting is the biggest attraction. The possibilities are endless now. 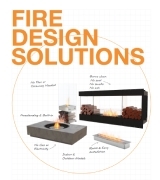 EcoSmart Fires can be utilised in more classical settings, rather than only contemporary settings,” Sandra adds.